Amino has raised $25 million in venture funding, led by Highland Capital Management, as the health care startup expands its transparency technology to employers, doctors and hospitals. Amino has now raised $45 million from investors since it started in 2013. What Amino does: Anyone can go to Amino's website for free and look up a procedure or treatment in their area. 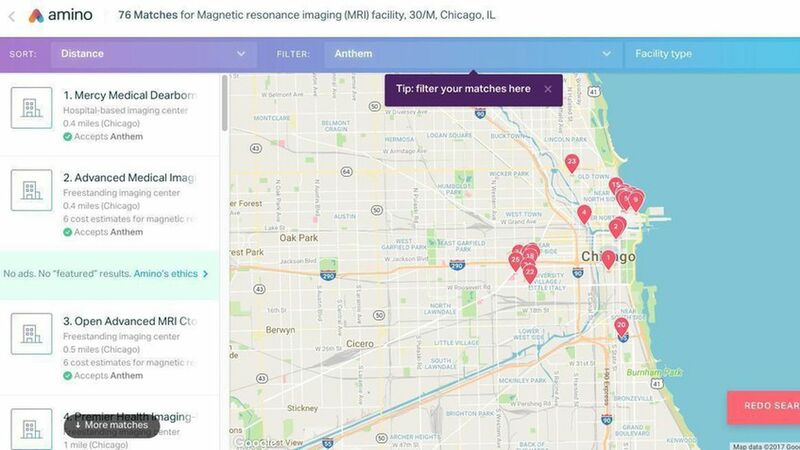 Amino spits out names of doctors and hospitals based on a person's health insurance carrier, and people can see how much it could cost to see a provider and book an appointment. "The need for transparency is something that everyone seems to be clamoring for," Amino CEO and co-founder David Vivero told Axios. The data are based on 9 billion insurance claims that Amino has bought and aggregated. Vivero used to be an executive at Zillow, the online real estate database company, so Amino is trying to do something similar. How Amino will try to make money: Employers and doctors can pay Amino to plug into its technology and customize deductibles and out-of-pocket spending to employees or patients. Amino's plan has attracted several big names to its advisory board, including Dr. Ashish Jha of Harvard, Dr. Bob Wachter of the University of California San Francisco and Joy Pritts, the former top privacy official at the Office of the National Coordinator for Health IT. It's still too early for Amino to consider going public, but Vivero said he "wouldn't rule it out." Our thought bubble: There's a clear appetite for price and network transparency in health care especially as high deductibles, both for employer-based coverage and Obamacare plans in the individual market, aren't going away. But there's a limit to shopping in health care, as many studies have shown. If your appendix explodes or you have a heart attack, you won't have time to rush to a transparency website to find the best deal or the quality ratings of a surgeon. Other transparency companies, like Castlight Health, also have struggled to catch on.